According to an article in the MetroWest Daily News, attorneys for a New Hampshire man charged with murder are seeking to prevent the prosecutor from admitting the man’s statements at trial, as well as all of the evidence derived from those statements. The man allegedly murdered 19 year-old woman from Westborough, MA in October 2012. THe alleged victim was a student at the University of New Hampshire. Shortly after the murder, the police went to the defendant’s place of employment and transported him to the police station for questioning. Police then interrogated him at the police station for a total of 11 hours. During the course of the interrogation, the defendant admitted that the alleged had died of asphyxiation during a sexual encounter with him. He also told the police where evidence of the crime could be found. Specifically, the his statements led the police to Peirce Island in Portsmouth, NH, where hair and pearl-like beads were recovered. The police also conducted a search of the trash at the defendant’s apartment complex based on the statements. Additional pieces of evidence were recovered from that location as well. Police did not inform the defendant of his Miranda rights, including his right to remain silent, prior to the interrogation. As a result of this failure, his attorneys filed a motion to suppress his statements, and all of the evidence obtained as a result of the statements. The defendant’s attorneys are specifically arguing that the police violated his constitutional rights by failing to administer the Miranda warnings, and therefore all of the evidence obtained as a result of that violation, including the statements, should not be admissible against him at trial. The prosecutor argues that because the police spoke to the defendant as part of a missing person investigation rather than a criminal investigation, it was not necessary to advise him of his Miranda rights. The prosecutor further argues that the defendant was not in “custody” at the time the statements were made, and therefore the need for Miranda was not triggered. Under Miranda v. Arizona, a person is only entitled to Miranda warnings if he is subjected to custodial interrogation. Custody has been defined as a situation in which a reasonable person in the defendant’s shoes would not feel free to leave. Interrogation is defined as questioning that the police know or should know will elicit an incriminating response. In this case, the defendant’s attorneys appear to have a strong argument that he was subjected to custodial interrogation, and therefore should have been provided with his Miranda warnings prior to police questioning. Specifically, the police showed up at the defendant’s place of employment and transported him to a police station in a police vehicle. He was then questioned for a very lengthy period of time – 11 hours. The police were speaking to him about the alleged victim’s whereabouts, and therefore presumably believed that he had some information as to where she was and/or what had happened to her. Furthermore, the defendant was ultimately arrested at the end of the interview. The prosecutor’s arguments notwithstanding, it seems as though a reasonable person in the defendant’s position would not have felt free to walk out of the police station. Additionally, the police were certainly aware that that alleged victim was missing and believed that the defendant knew something about her disappearance. 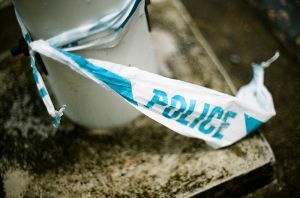 As such, it likewise seems clear that the police knew or should have known that asking the defendant specific questions about the alleged victim’s whereabouts would be likely to elicit an incriminating response. If the defendant’s attorneys are successful at suppressing his statement and the evidence obtained as a result of the statement, the prosecution’s case could be severely weakened. If you or a loved one is in a situation where the police failed to provide Miranda warnings and elicited an incriminating statement, you will need an attorney to fight to suppress that evidence, just like the defendant in this case. Attorney Daniel Cappetta is an experienced and skilled attorney who has litigated numerous motions to suppress. Call him today for a consultation to determine whether you have a strong motion to suppress that should be litigated.